Resource > 4K Media > How to Burn Videos to 4K Ultra HD Blu-ray? Summary: With a professional UHD burning software you can burn videos to 4K Ultra HD Blu-rays that can be played on a 4K UHD Blu-ray player. Now check how to burn videos to 4K UHD Blu-ray. 4K Ultra HD Blu-ray is the new format of choice for movie lovers who want a quality cinema-like experience but without actually going to the theater. This used to be very difficult to achieve a few years ago but nowadays it’s no longer just a pipe dream. 4K UHD Blu-ray players and compatible discs are now more accessible than ever while TVs and PC monitors capable of supporting 4K UHD are also getting cheaper by the day. In addition, it’s also possible to convert a regular 4K video to UHD quality with the right tool, which gives you even more options. A video that was created using this process can be burned to a blank disc and then played on a compatible 4K Ultra HD Blu-ray player. Alternatively, you can also convert a movie or video to UHD and store it on your computer as an ISO file or folder for later use. This comes with the added benefit of allowing you to make backups of your favorite movies that you can store on a different hard drive, just in case your current one stops working at some point. Or, you could create a compilation of funny videos you downloaded from the internet and burn all of them to a 4K Ultra HD Blu-ray disc that you can then show to your friends at a party. All of these things and many more are possible with a tool known as DVDFab UHD Creator. As you can probably tell by now, DVDFab UHD Creator is a professional piece of software that comes with many useful features. Just as its name indicates, this tool is a UHD maker that can be used to create quality 4K UHD Blu-rays from your computer. You can use videos of various formats to serve as the input, including videos that feature HDR10 or Dolby Vision technology. The software is capable of preserving these aspects fully intact so that you can enjoy the great image quality when watching the videos on a compatible TV or PC monitor. Another important feature to note about DVDFab UHD Creator is that the tool can create videos of varying sizes. To be more specific, there are four different output modes to choose from –BD25 2160p, BD50 2160p, BD66 2160p, and BD100 2160p. This is a very useful feature to have because it allows you to convert a video to UHD that’s the perfect size for the blank disc you want to burn it on. If you want to burn it to a disc that is. As mentioned, before the videos you make with DVDFab UHD Creator can also be stored locally as ISO files or folders so the choice is entirely up to you. But regardless of the option you pick, you can rest assured knowing that this tool is lightning fast when it comes to converting any video to UHD because the software makes use of specialized 4K hardware acceleration technology. Speaking of which, let’s take a look at how the whole process works. How to Burn a Video to 4K Ultra HD Blu-ray? 1. First things first. 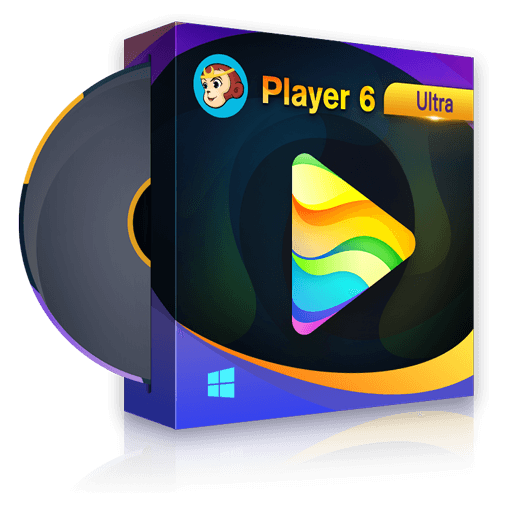 Download and install the 64-bit version of DVDFab Player 10. Find the Creator module in the menu bar and then load the video or videos you want to convert to UHD. You can queue multiple tasks in DVDFab 10 so feel free to add more than one video if you wish. 2. Look towards the upper left corner for the Profile Switcher button and make sure the UHD Creator option is selected. This will allow you to convert the video to 4K UHD while the other options are used for different formats. 3. Before you convert the video to 4K UHD it’s a good idea to take a look at some of the available settings. Click the wrench button labeled Advanced Settings to up a menu that lets you pick the output mode, processing mode, and video quality. Also, don’t forget to change the name of the output while you’re here if you’re not happy with the default name. 4. The last step is choosing the destination folder, which can be selected by clicking the folder icon located at the bottom of the menu. Here you will also find options that will allow you to burn the output directly to a blank disc or saved it locally as ISO image file as opposed to a movie folder. Choose whichever options best suits your needs and then click the Start button to begin the process. 4K UHD Blu-ray discs can be pretty expensive so it’s good to have a tool that can convert other types of video to this format. As you can tell, DVDFab UHD Creator is very easy to use and will allow you to create your own 4K UHD videos in no time. That said, it’s worth keeping in mind that the conversion process can take a while even with 4K hardware acceleration technology because of the size of these discs. But given the impressive quality of the output, I think it’s safe to say that the wait will be worthwhile in the end. Today we are going to talk about the best hardware movie player, and that is DVDFab Movie Server which is a hardware movie player system equipped with a built-in program to play and manage movies.